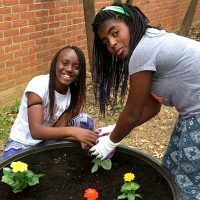 The Maryland Association for Environmental and Outdoor Education (MAEOE) encourages, engages and empowers our community to understand, responsibly use and promote the natural world. Meet the MAEOE professional staff and the Board of Trustees. MAEOE is a leader and authority on environmental, outdoor, and natural resources education and program development. The Board of Directors are engaged in the development of the organization. The Directors share and exchange information about current environmental issues; they engage with environmental and business leaders to build synergies between conservation, community and outdoor education programs and resources. 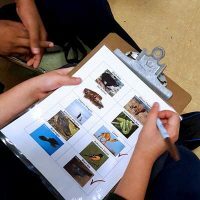 The leadership promotes quality education through outdoor learning experiences; they cultivate a greater awareness, knowledge, appreciation, and concern for the conservation of the natural environment and the effects of people’s actions upon it. They promote environmentally sound activities and lifestyles. The Advisory Council represent a wide range of environmental, outdoor education and natural resource organizations from across the state, the experience that they bring to MAEOE supports current programs and future development of these programs including access to nature, student stewardship, and sustainable schools. 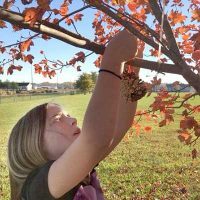 Learn about the Maryland Association for Environmental & Outdoor Education (MAEOE). See what we do and how we make a difference. Meet our people and partners and discover volunteer opportunities.